Southern has teamed up with the New Haven Manufacturers’ Association (NHMA) to sponsor a three-day program acquainting area science teachers with modern manufacturing and materials engineering methods. The Materials & Manufacturing Summer Teachers’ Institute, a collaboration that also includes Platt Technical High School in Milford and CRISP (Center for Research on Interface Structures and Phenomena at Yale University and Southern), attracted 30 science teachers from grades 7 to 9. “This is a novel partnership that has created an opportunity for teachers to learn how products are made, as well as to enhance their awareness of manufacturing careers and how the STEM disciplines (science, technology, engineering and mathematics) relate to manufacturing,” says Robert Klancko, a member of the NHMA Board of Directors. In turn, Klancko says, this program will enable teachers to better educate middle school students about the relationship between STEM and manufacturing and what types of careers are available in the manufacturing field. He adds that this is so important because students often decide as early as the middle school years whether or not to pursue math and science in high school, college and even in terms of career paths. Christine Broadbridge, chairwoman of the Physics Department and education director at CRISP, says area manufacturers and academics have been working for the past year to bring teachers, engineers and scientists together in more effective ways. Broadbridge says the institute is a pilot program that organizers would like to offer annually. More than 40 Connecticut teachers applied to attend the program, which could only accommodate 30 this summer. Southern is offering a new master’s degree in applied physics this year. On the first day of the institute, held at Southern, manufacturing engineers conducted programs on materials science and discussed the importance of STEM education. In a quiet, unassuming room in Engleman Hall this summer, the important work of “building little citizens” has been under way, says Aaron Washington, associate dean of student affairs. This critical effort is an outcome of the Southern Academy (SA), a summer enrichment program for New Haven schoolchildren that was born on Southern’s campus in 2011. The achievement gap in Connecticut is one of the worst in the country, and the university strives to level the playing field with a variety of programs aimed at supporting the learning of local elementary and secondary school students. SA is one such program, with its goal of helping New Haven school children enhance their skills in key areas. The academy includes an intensive, four-week on-campus program of education during the summer. SA is part of a multi-pronged approach that Southern has taken to help ensure that city school children receive the tools to succeed at an early age – in essence, tackling the achievement gap in the developmental years. The first group of 25 students, all rising fourth graders, started SA in June 2011. The current group of 16 students just finished grade five, says Washington, and includes a few of the original students. While the program originally focused on the STEM disciplines, it now concentrates primarily on literacy. Washington says testing shows that the students’ reading skills and comprehension have been improving, thanks to their work in SA. The program runs five days a week for four weeks, with academic work done in the morning and enrichment activities in the afternoon. Each participating child receives a free laptop computer for use during SA to assist them with the educational enrichment programs they will be involved in. The ultimate goal of SA is for each student to go on to college and earn a degree. The successes she’s seen have been academic as well as social/emotional, Skultety says. Based on pre- and post-test data, SA students have made tremendous progress in reading and writing each summer. Socially, students have improved in their ability to work together, express their ideas and contribute to a group. Additionally, and perhaps most importantly, Skultety say, “I think our students have become more critical thinkers about the world around them. We’ve looked at some social issues, and read about and discussed various topics related to social justice. Students now think more critically about global topics, and they’ve become very engaged in thinking about the world beyond what they can see because of what we’ve read and how we’ve discussed it.” All part of building little citizens. Skultety says that SA gives students a head start on instruction for the following year. By working on reading and writing skills for an entire month before a new school year begins, SA students go back to school in the fall with the advantage of having the background knowledge that many do not. Skultety says several SA students have returned the following summer and reported that they felt well-prepared for school because of the work they did at SA. *The groundbreaking ceremony for the Buley Library renovation project and the accompanying ribbon-cutting for the Wintergreen Parking Garage drew considerable media attention. The New Haven Register ran two articles in its July 18 edition. A lengthy story focusing on the Buley groundbreaking ceremony ran on Page 4. An article about the parking garage ran in the business section of the paper. Channel 8 aired a segment July 18 during its various news shows, including on the 5 p.m. newscast. *Phyllis Gordon, manager of the university’s Family Therapy Clinic, was interviewed about the stereotypes vs. truths pertaining to “only children” in a July 17 article in the New Haven Register. She discusses how those stereotypes originated before the turn of the 20th century. The story was generated after a post on this subject appeared in the SCSU blog, “Wise Words,”which can be accessed at: www.scsuwisewords.wordpress.com . *Marie McDaniel, assistant professor of history, was interviewed extensively about fact vs. fiction as it pertains to Independence Day in a story that appeared on July 4 in the New Haven Register. America actually declared itself independent of Great Britain on July 2, 1776 with a vote by the Second Continental Congress, rather than the commonly held belief that it was on July 4, 1776. The Declaration of Independence was formally adopted by Congress on July 4, 1776. Southern celebrated on July 17 the groundbreaking for the renovation of the original wing of Buley Library — a project that will transform the building into a state-of-the-art facility within two years. The $31 million project includes the renovation of the 98,000-square-foot wing, and the addition of a 12,000-square-foot area that will serve as an atrium and skywalk connecting two sections of the building on the first and third floors. When added to the 135,000-square-foot addition completed in 2008, the library will encompass 245,000 square feet. “This groundbreaking is a major step forward for (SCSU),” said Gov. Dannel P. Malloy, the featured speaker during the ceremony. Malloy also noted that the building project is one of several undertaken recently by the university to help transform the campus. The library project includes the creation of an art gallery, as well as space for media collections, special collections and a reading area on the ground floor. The first floor will feature a cyber café, as well as an “information commons,” an area that will include a computer lab, lounge seating, email stations, a reference help desk and an IT help desk. The project is being designed to include three classrooms, two computer teaching labs, a seminar room, a conference room and a Faculty Development Center on the second floor. Plans call for the third floor to include the eventual creation of a tutorial center — which would feature a writing tutorial room, a math and science tutorial room, a computer lab and a conference room. The floor also would be home to the Library Science Department faculty and staff. The Office of Information Technology would eventually be located on the fourth floor, according to the building plans, as would library administration offices. Other speakers at the ceremony included: Lewis J. Robinson Jr. and Gregory W. Gray, chairman and president, respectively, of the Board of Regents for Higher Education; Pasquale “Bud” Salemi, deputy commissioner of the state Department of Construction Services; Erin McGuckin, president of the SCSU Student Government Association; Marianne D. Kennedy, interim provost/vice president for academic affairs at SCSU, and state Sen. Toni N. Harp (D-New Haven), co-chairwoman of the General Assembly’s Appropriations Committee. Following the groundbreaking, a ribbon-cutting ceremony was held for the new 1,257-space Wintergreen Parking Garage. The parking garage has added a net of more than 800 parking spaces for the campus. The $31 million is expected to cover the bulk of the project, although other sources of funding will be used to complete aspects of the upper floors. Skanska of New Haven is the construction manager, while Oak Park Architects of West Hartford is the architectural firm handling the project. The library opened in 1970 toward the end of Hilton Buley’s 17-year reign as president of Southern. He served in that capacity from 1954 to 1971. The following letter was written by Camille Serchuk, professor of art and co-director of the Southern in Paris summer study program. Photographs were provided by Thuan Vu, professor of art and co-director of the Paris program. Our program has gotten off to a great start in Paris this year. The students arrived with Professors Vu and Eilderts on Monday, and were met at Charles de Gaulle by Professor Serchuk, who welcomed everyone with fresh croissants. We then boarded a bus for the journey to the Cité Universitaire, in the south of the city, where the students are staying. We arrived, got the students settled in their rooms and then gave them a chance to rest and unpack. We then held a brief orientation and gave the students their program cell phones (which enable everyone to keep in touch), Métro passes (which provide unlimited access to the city’s public transport, all month) maps of the city, and special cards that entitle them to easy and unlimited access to the Louvre, the Musée d’Orsay, and the Orangerie, so they can visit these collections as often as they want, without having to stand in line. Our program draws heavily on these museums, and the students come to know them very well; these museum cards help make that happen. That evening, for our first French meal together, we traveled to a creperie in Montparnasse, a short journey from the dorms. After dinner we went back to the neighborhood near their dorms and went grocery shopping so that they would have provisions for their rooms. It was a long and tiring day, and the students went to sleep filled with anticipation for what they would encounter the next day. Our group of sixteen students this year comprises students from a variety of programs including Art, Psychology, Political Science, Education, French and Women’s Studies. They have already shown themselves to be a bright and cooperative group, with a great range of interests and talents. At our second orientation session on Tuesday morning, they had lots of thoughtful questions about how to navigate and communicate. We were impressed with their curiosity and their desire to interact respectfully with everyone they met. After we sorted out some lingering computer issues (staying in touch is always a high priority! ), we headed to Trocadéro, the best spot in Paris from which to view the Eiffel Tower. It was a beautiful day, and the students got great photographs of this essential Parisian monument. From there, we picked up some sandwiches for lunch and then walked to the point of departure for the Bateaux-Mouches, the “fly boats” (so named because their front windows make them look a bit like insects) and enjoyed a river tour of the city. Wednesday, we began our courses. In the morning, Professor Serchuk’s students visited the remains of the Roman Arena. Professor Vu’s students began to draw in the Luxembourg Gardens, and Professor Eilderts’s students began their studies of French, examining the city of Paris within the French social, political, and cultural landscape. In the evening, we visited the Louvre for the first time. We oriented the students with maps, and then visited some of the best-known works at the museum, including Michelangelo’s Dying Slave, the Winged Victory of Samothrace, the Mona Lisa, and Gericault’s Raft of the Medusa. From the Louvre we went to dinner at Le Trumilou, where we also celebrated the birthday of one of our students. As you can see, it has been a very busy first week! We are having a great time and working hard—from our perspective, exactly the right balance for our program. In keeping with the theme from our last blog post about popular misconceptions associated with the birth of our nation, a new series offered by the Military Channel is must watch TV for U.S. history buffs. The series, “America: Facts vs. Fiction,” was launched last week and is scheduled to run on Wednesdays at 10 p.m. The series explores commonly held beliefs about American history and is billed as a series to debunk fiction and to set the record straight on half-truths. A 30-segment last week pertained to the famous ride of Paul Revere to warn the colonists of an imminent threat by the British army. William Dawes, a 30-year-old tanner and militiaman, had the same mission as Revere, although he took a different route to Lexington. Both Revere and Dawes — as well as Samuel Prescott, a doctor and a patriot — then sought to go to Concord. But Revere was captured along the way. Dawes never made it either. Historians believe he had been bucked off of his horse. But Samuel Prescott was the person who actually made it to Concord. 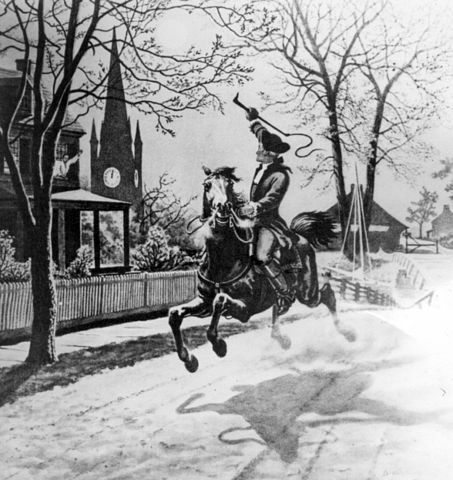 Yet, the famous poem, “Paul Revere’s Ride,” written by Henry Wadsworth Longfellow and first published in 1860, incorrectly states that Revere reached Concord and implies he was the only rider. While Revere did warn colonial town and military leaders en route to Lexington that the British regulars were on the move, historians dispute the notion that he shouted “The British are coming! The British are coming!” Most colonists at the time identified themselves as British and were still under the British crown. “The Redcoats are coming! The Redcoats are coming!” is a more plausible refrain, but we really don’t know for sure. Marie Basile McDaniel, assistant professor of history at Southern, says the show was essentially correct in its claims. She also said that she is more interested in the “how and why” that inaccurate portrayals of the past are handed down in society, rather than the actual misconceptions themselves. “As an example, students all over the country had to memorize the ‘Paul Revere’s Ride’ poem – an exercise that lasted for decades!” she says. “You can still find people who had to memorize this poem in school. So, why is it that Paul Revere is so emphasized in American history? McDaniel notes that Revere was a patriot, and worked as a silversmith and engraver. He was very active in 1760s and 1770s political organizations, according to McDaniel. As an aside, McDaniel notes that many people might not realize the image on Samuel Adams beer is actually that of Paul Revere. “Although he was a brewer, Samuel Adams was not very good looking,” she says. In fact, the homeliness of Adams is one of two prevailing theories as to why Revere’s image is on the beer bottles, rather than that of Sam Adams himself. The second is that the beer was originally going to be called “Revere Beer,” but that it did not fare well in poll testing. Yet, it was too late to change the image without incurring an additional cost. Our nation’s founding is a day to celebrate – often with fireworks, picnics and other early- summer fun. Most of us know the significance of Independence Day and the Declaration of Independence, of course. But there are plenty of interesting facts surrounding these historical milestones that would surprise many of us who are not experts in U.S. history. We wanted to share a few of these lesser-known facts with you. And thanks to background provided by Marie Basile McDaniel, assistant professor of history at Southern and our resident expert on colonial America, we’re able to do so. First, contrary to popular belief, the United States declared itself an independent nation on July 2, 1776, not July 4, 1776. The Second Continental Congress approved a resolution to do so on July 2. In fact, John Adams thought July 2 would be the date that would be celebrated as Independence Day. Nevertheless, you probably wouldn’t be successful in explaining to your boss that you should have July 2 off to celebrate Independence Day. Just a wild guess. 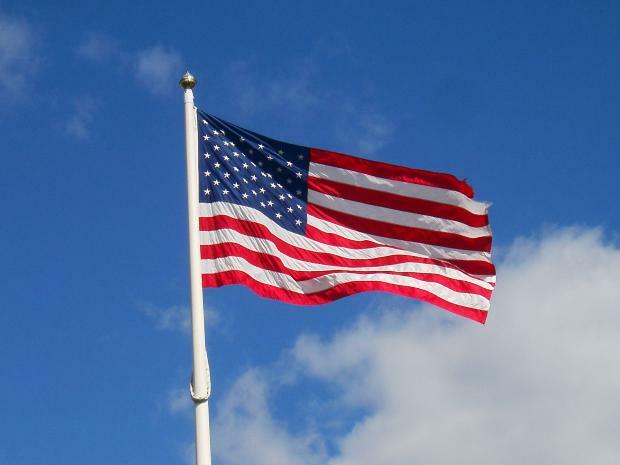 So, why do we celebrate the Fourth of July, rather than the Second of July? The Declaration of Independence document itself was approved by the Second Continental Congress on July 4. Okay. That means the Declaration of Independence was signed on July 4, right? Wrong. Most historians believe that most of the 56 congressional delegates who signed the document did so on Aug. 2, 1776. And the last individuals to sign waited until at least November 1776 (some say it was longer) to put their John Hancock on the document. (Sorry for the pun.) By the way, Hancock really was the first to sign it. Thomas Jefferson, with the help of Adams, Benjamin Franklin, Roger Sherman and Robert Livingston, wrote most of it in June 1776, soon after being appointed to a committee by Congress in that same month. The appointment followed a motion made by Richard Henry Lee, who represented Virginia in Congress, to declare the colonies independent. His motion was eventually voted on and approved July 2. Were there revisions to the document? Yes. In fact, Jefferson originally used the word “subjects,” rather than “citizens,” in the Declaration. This might well have been out of habit as the colonists had been considered “British subjects” since the pilgrims landed in the New World. But Jefferson later corrected the term. Congress made some revisions, as well. Was there widespread support among the populace for the Declaration of Independence at the time it was approved? Yes. While Americans were divided on whether or not to break away from England, there was considerable support at the grassroots level among those who wanted to be independent. In fact, many colonists were clamoring to issue a declaration even before 1776, but the elites in the Second Continental Congress kept delaying such a move because of potential military and logistical concerns. And so it goes…Now you have some fodder to stump your Fourth of July party guests with a little Independence Day trivia. Does anyone have any other factoids about America’s birth that might surprise folks?